As you get older, you naturally tend to forget things, walking to a room and then wondering why you went there or starting a thought and then not being sure why you started it. Some memory loss is to be expected with the normal aging process. 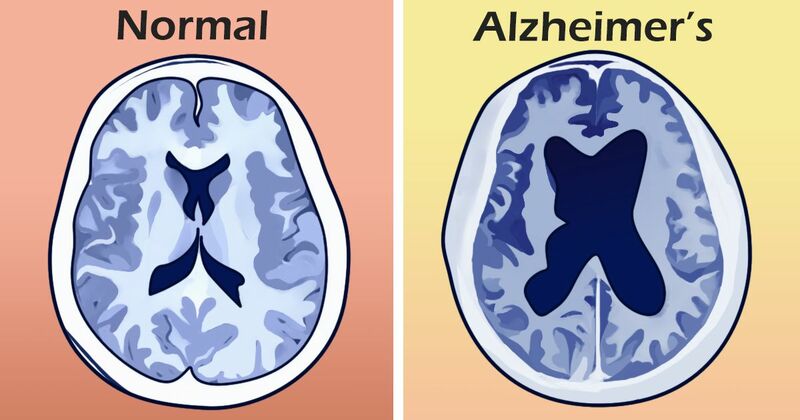 Alzheimer's, though, is not regular memory loss. It is a neurodegenerative disease caused by the death of brain cells. Often, the symptoms are mild at the early stages of Alzheimer's, but they will continue to get worse as time goes on. Here are 6+ early warning signs for Alzheimer's that you should be aware of. 1. Forgetfulness. Walking into a room and not remembering why you went there may not be something to worry over too much, but the alzheimer's association states that one of the early warning signs for Alzheimer's is that recently learned information is what gets forgotten first. 2. Vision changes. Alhzeimer's also affects sight, according to WebMD, causing sufferers to have difficulty distinguishing colors, measuring distance and reading. 3. Personality changes. Harvard Medical School notes that regular age-related memory loss doesn't cause any change to the person's basic personality. Those who suffer from Alzheimer's seem different, having noticeable mood changes or changes in temperament. They may become suspicious when they were normally trusting, or angry when they were generally sweet and easy going. 4. Cognitive issues. The alzheimer's association says that one of the early warning signs is having trouble with basic problem solving or trouble working with numbers. 5. Vocabulary changes. As the disease progresses, WebMD points out that sufferers will have trouble remembering words. They'll struggle to come up with the words they want, making communicating difficult. Having conversations becomes frustrating for them. They may end up repeating themselves or simply stalling in the middle of a thought. 6. Behavioral changes. According to Harvard Medical School, you may notice that someone with Alzheimer's may do strange things like wander off and get lost, hide items or wear too much or too little clothing and be totally unaware of it. 7. Difficulty with familiar tasks. Many tasks are done with little to no thought because they are done all the time. The alzheimer's association shares that a sign of Alzheimer's is that completing these familiar tasks can become very difficult, with the individual having trouble focusing on what to do. Something as simple as following a familiar recipe may become impossible. 8. Confusion. According to WebMD, a sign of Alzheimer's is confusion. The individual realizes something is not right, but can't verbalize what it is. Those who suffer from Alzheimer's may end up at a location not knowing how they got there, and tracking time is difficult. As the disease progresses, they end up living more and more in the past. There is no cure for Alzheimer's, but treatments to help slow the progression of the disease are available. The sooner it is diagnosed, the sooner treatment can begin; so don't delay seeing a doctor if you suspect that you or someone you love may have Alzheimer's.